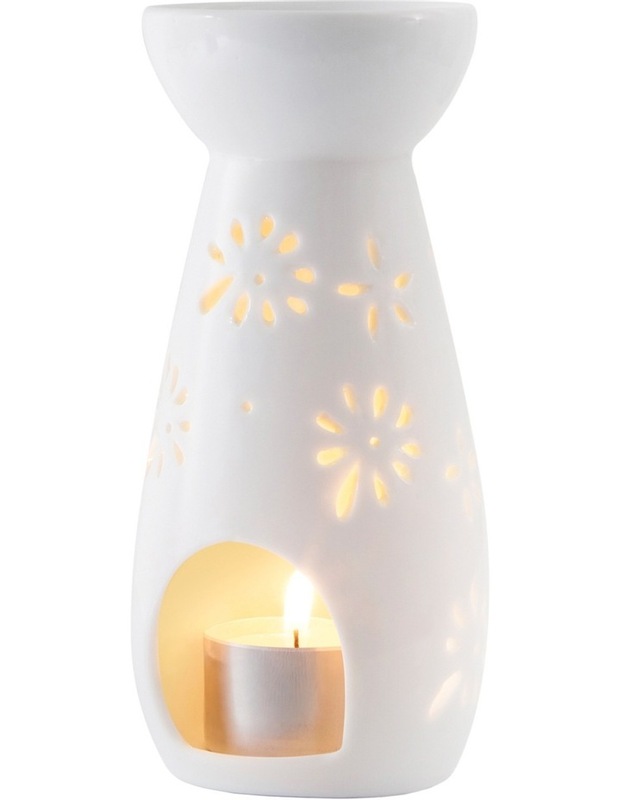 Benefits: Burner diffuses Natio's pure Essential Oils and Blends with the cosy, appealing warmth of a Soy Candle. As the candle heats the oil, it gently releases the aroma of your favourite Essential Oils into the air. Use with Natio's Soy Candles, which have been specially designed for the Burner. Made from 100% premium-quality natural soy wax, candles feature a lead-free, pure cotton wick and provide up to 9 hours burning time. How To: Place Burner on a stable, heat-resistant and non-flammable surface. Fill the bowl with water and 3-6 drops of your favourite Essential Oil. Light the candle, insert it into the window and place it in the centre of the base. Add more water and Essential Oil as required. See Manual for full instructions. Tips: Burner is a well-priced starting point for anyone new to the world of essential oils. Can be used with any of Natio's single Essential Oils, your favourite mix of 2-3 oils, and with Natio's exclusive Oil Blends.